Sometimes. Sometimes I get to be a part of an event that really just feels good. Last week one one of those times. 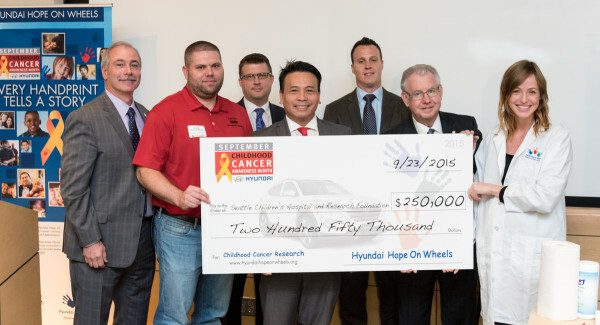 As part of their corporate giving, Hyundai (yes, the Korean car maker) has established the Hope On Wheels program to benefit Pediatric Cancer Research. Since 1998, the program has donated over $100M, with $13.3M of that coming this year alone. 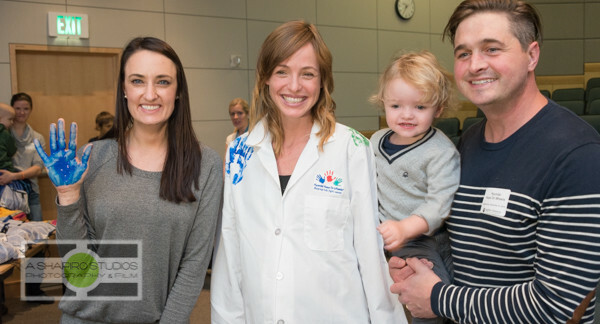 For the second time, Seattle Children’s Hospital has been one of the beneficiaries chosen to receive a $250,000 grant to fund research. 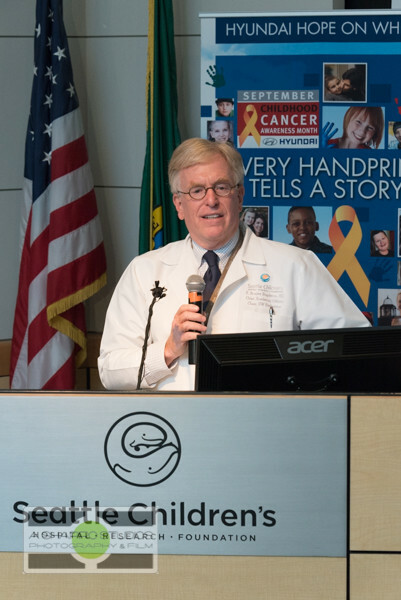 During a brief ceremony, representatives from the hospital and Hyundai USA, along with doctors actively working in pediatric cancer research and patients that have undergone treatment at Seattle Children’s spoke. Following the remarks, current patients were able to leave their mark on the doctor’s coat; part of ‘Every Handprint Tells A Story’ – one of the trademarks of the program. See the entire collection of Seattle Corporate Event Photography from the donation ceremony at Seattle Children’s Hospital.